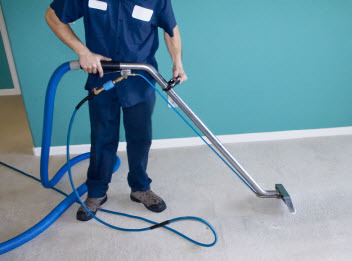 The experts at Power Steam Carpet Cleaners are the leaders when it comes to providing carpet, rug, upholstery, tile & grout, mattress, air duct cleaning, water damage restoration, hardwood floor refinishing, replacement and installation in North Hollywood, California and the surrounding areas. Our quality carpet cleaning and specialty services are upfront and affordable without hidden costs. Our knowledgeable carpet cleaning technicians and upholstery cleaning specialists use the best equipment and cleaning products available in the industry to ensure that the carpets and upholstery in your home or business are left clean, sanitized and deodorized. At Power Steam Carpet Cleaners, we offer a professional grade carpet cleaning that is both effective and convenient. Our carpet cleaning technicians will arrive at the scheduled time with all the tools and equipment needed to thoroughly clean and deodorize the carpets in your home or business. 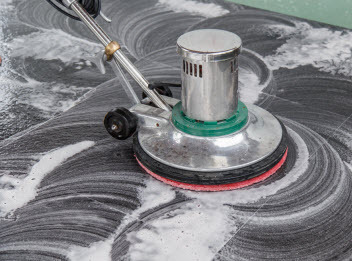 Our hot-water extraction carpet cleaning system is attached to truck-mounted equipment to ensure that your carpets are completely clean from top to bottom. In fact we pride ourselves on providing each and every one of our residential and commercial business clients with a customized approach to carpet cleaning to ensure that they are 100% satisfied with the service they have received. At Power Steam Carpet Cleaners, our experienced rug cleaning technicians will provide you with a superior cleaning service for all of your area and specialty rugs cleaning needs. Our rug cleaning technicians are the skills and experience needed to identify the fibers, color stability and condition of your rugs before beginning the cleaning process. You will be both pleased with results our technicians can achieve on all of your area and specialty rugs. At Power Steam Carpet Cleaners, our expert upholstery cleaning technicians offer a quality upholstery cleaning service at an affordable price. No matter the size, color or fabrication of your sectionals, couches, sofas, loveseats, armchairs and more, our quality cleaning service is first-rate. Our technicians will arrive with all of the specialty tools and cleaning solutions required to provide your home or businesses with a cost effective cleaning solution to all of your upholstery cleaning needs. At Power Steam Carpet Cleaners, our mattress cleaning protocols are designed to completely remove all traces of dust, germs, viruses, dust mites and their waste products. Dust mites and their waste can be responsible for causing respiratory complaints especially in young children. Our highly trained cleaning technicians will use a high pressure vacuum before utilizing a low moisture extraction process that will completely deep clean and sanitize your mattresses. At Power Steam Carpet Cleaners, our tile and grout cleaning technicians will clean your tile until it shines like new again. Our experienced technicians will first evaluate the condition of your floors and other tiled areas, paying special attention to missing or damaged grout along with dark spots and discoloration on the surface of the tile. 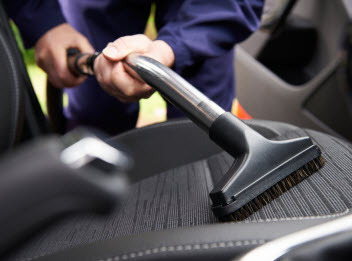 Once a surface clean has been completed, our technicians will use a specially designed hard surface tool attached to truck mounted equipment to remove dirt, soap scum and grease. At Power Steam Carpet Cleaners, we provide a comprehensive air duct cleaning service to ensure that you, your family and your guests can breathe clean air that is free of debris and allergy causing agents. Our knowledgeable air duct cleaning technicians will inspect your air ducts and monitor the quality of the air before utilizing powerful and effective air duct cleaning equipment. At Power Steam Carpet Cleaners, we understand that accidents sometimes happen. No matter the source, whether the cause is flooding from a burst pipe or water damage caused by heavy rains, we are available to take care of the clean-up process for you. Our water damage restoration technicians will arrive with high powered extraction equipment and specialized commercial drying equipment to ensure that the damage to residential or commercial property is kept to a minimum. At Power Steam Carpet Cleaners, our hardwood floor refinishing technicians are the experts when it comes to taking care of the hardwood floors in your home or business. Our restoration protocols are designed to remove built up dirt and grime leaving your floors clean, shiny and sanitized. Not happy with your existing hardwoods? Contact us today and ask about our hardwood floor replacement and installation services that are both cost effective and affordable.